If You’re Looking for Teacup Puppies, Look No Further! Here at Petland, we proudly sale those adorable and tiny teacup puppies! You’ve seen them and craved them and now it’s really possibility for you. Before you purchase teacup puppies, we want to make sure that you’re well informed. They come in small packages with a specific set of rules to care for them. So what ARE teacup puppies anyway? From time to time, you’ll hear the term “teacup” used in conjunction with other breeds. For instance, you’ll read “teacup Yorkie” or “teacup Chihuahua,” but in actuality, there’s no such thing as either. There are no actual breeds that use the word teacup as part of their official breed name. If you see this, don’t fall for it. Yorkies and Chihuahuas are naturally tiny, so the term teacup doesn’t truly apply. How to caring for your teacup puppy. Feed your teacup puppies a healthy diet. It should be one that’s rich in fiber. Purchase canned or dry foods that contain ingredients like eggs, chicken, fruits, veggies, and omega 3 fatty acids. Of important note, be sure to buy food that contains Karo syrup. Teacup puppies are prone to low blood sugar and this ingredient can help counteract that. Lastly, always provide fresh water. Teacup puppies are like any other dog, except in size! They always need fresh water. Tiny teacup puppies are a joy to have, just like any other sized dog. Come into Petland today to get yours! Yorkies are lovable and pint-sized pups. They are not shy and anyone who meets them soon finds out! Below are 7 fun facts about Yorkies for sale found in our store and around the world! The Yorkshire Terrier’s small size doesn’t match their personalities! They are energetic, feisty, and domineering. Yorkies are also very affectionate and want a lot of attention, so give it to them! We have Yorkies for sale. Would you believe it? Yorkshire Terriers make excellent watchdogs. They won’t be able to tackle and take down an invader, but they’ll bark and bark and bark to let you know of their presence. If you’re looking for a protective dog, purchase Yorkies for sale! Some Yorkies may also be aggressive toward other small animals, but many Yorkies live quite peacefully with other dogs and even cats. Yorkies are not the oldest breed of dogs, however they became one of the first to be registered with the American Kennel Club, in 1885. Yorkies for sale are a big deal today, serving as faithful companions. They were, however, originally bred in the mid-1800s as ratters. They were used to hunt and capture vermin. Yorkies don’t shed much, but their coats require regular care to keep it in tip-top shape and looking snazzy! If their hair is clipped, be sure to comb and brush it weekly. If they have long hair, we recommend professional grooming. Originally Yorkshire Terriers were larger than the Yorkies for sale that we see today. Through selective breeding, the they were miniaturized and became fashionable to own. Today, the Yorkie is primarily a pampered companion and preferred lapdog. Because of their consistent popularity, we try our very best to consistently have Yorkies for sale in our store at all times! If you have any questions, come by and consult with one of our Pet Counselors. We will speak to you about your family size and living environment. Based on our consultations, we’ll let you know if this is the best breed to add to your family. Feel free to come into our store. We strongly encourage our customers to play and interact with our puppies before they make the big decision to take them home. 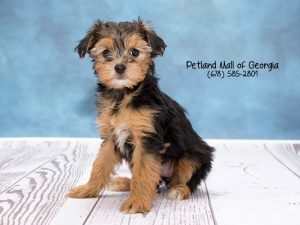 So stop by today if you think a Yorkshire Terrier might be a great addition to your family! The Akita is a powerful puffball of a dog! Across the world they are widely known for their protective natures, but they are also known to be affectionate dogs. Below are some interesting and unknown facts about them! The Akita is the largest of the Japanese spitz types of dogs. The Akita is a large dog, with balanced proportions and massive bone structures. Their main physical characteristics are their wide heads, triangular shaped and solid noses, their erect and pointy ears, and small eyes. 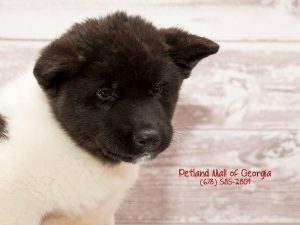 Some people think when they see Akita puppies for sale in GA that they are the perfect combination between a cat and a bear! Because they are such great protectors, Japanese women often leave their children in their care. 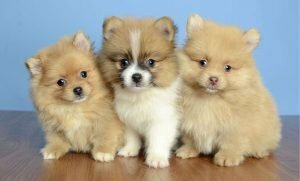 The Akita puppies for sale in GA are the American Akitas, also known as the Great Japanese Dog. In Japan, they are called the Akita Inu. Inu is the Japanese word for dog. In the United States, the United Kingdom, and countries that don’t belong to the Fédération Cynologique Internationale (FCI), the aforementioned breeds are not separated. They are considered to be one of the same dog breed. Akita dogs are used for therapy and faithful canine companions. For sure, purchase Akita puppies for sale in GA if you’re looking for a guard dog, because they will bark in case of danger. Aside from that, those fluffy furry friends make funny and strange sounds just because and also to just entertain us! Akitas need experienced owners, so first time pet owners aren’t ideal for them. They require someone who can handle such an independent and wise dog and show them who’s really the boss! Surprisingly, if you live in an apartment, you can find and purchase Akita puppies for sale in GA, because despite their size, they don’t require a ton of space! We’re going to talk about one of the most beloved and recognized breeds – English Bulldogs! We know you know how they look, but you may not know how the live and how they got here! Read along to find out! Here at Petland, we always have English Bulldog puppies for sale! Let’s Go Bulldogs – Let’s Go! The Bulldog is one of the most popular mascots. They represent a team’s strong and steadfast determination. 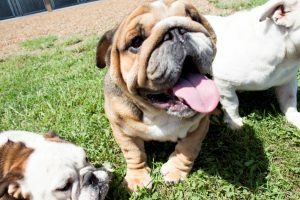 It’s no wonder English Bulldog puppies for sale are so popular! Across the country there are about 40 universities that cheer “Go, Bulldogs!” There’s a lot of love for Bulldogs! What does the “bull” in Bulldog mean? The English developed the bulldog breed in the 13th century. Unfortunately back then English Bulldog puppies for sale were brutally used for bull baiting. Thankfully, this practice was eventually banned in 1835. After the banning, they had to find a new purpose in life. The breed almost went extinct, but lovers of the breed were determined not to let this happen! They insisted on preserving them, because they wanted English Bulldog puppies for sale to continue! They went on to breed them to become kind and gentle canine companions. Almost all English Bulldog puppies for sale were delivered via c-section. Because of their bodies and particularly large heads, it’s very difficult for them to have natural births. Bulldogs are stubborn! There’s no debating that! When taking them on a walk, they’ll use their strength and stay put and decide when and if they’ll walk! This is their way of establishing dominance, but as their owner you’ll have to put your foot down and show them who’s boss! A lot of times when you see Mastiff puppies for sale, you will typically just notice their coat and marvel at their potential size. There’s so much more to them, however! Read these magnificent and interesting facts we’ve gathered and compiled about Mastiff puppies for sale. Say what? You may be thinking that the Mastiff puppies for sale that you have purchased are going to have you running all around the place, but that’s not true! Like most dogs, your Mastiff will require exercise. However, you needn’t implement an exercise program until after your Mastiff is older than 18 months. Their bones and joints need to be properly developed, otherwise it could cause harm and pain to them. Because Mastiffs are so large, it should come as no surprise that they tend to have large litters. The typical littler will have 10 to 12 puppies. A Mastiff holds the record of delivering 24 Mastiff puppies for sale in one single litter. Out of those 24 puppies, 20 survived past the first week. 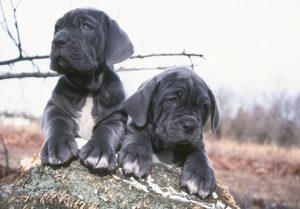 Mastiffs come in a variety of colors. Their typical colors are fawn, blue, apricot, brindle, red, and gold. There is an Argentinian Mastiff that is all-white mastiff. We promise that our Mastiff puppies for sale won’t put a dent in your pocket the way that Big Splash, of Northern China did! This Red Tibetan dog was a whopping $1.5 million! The owner’s justification for the exorbitant price was his diet, which consisted of beef, sea cucumber, chicken, and abalone. The breeder also spent a ton on money for Big Splash’s personal staff! We see how he got his name! The Tibetan Mastiff is believed to be the reincarnated soul of a monk and nuns. It’s said that the souls of the monk and nuns were not good enough to be reincarnated in to people, so they were placed into the body of the Tibetan Mastiff. This was one of the ways that locals explained why the Tibetan Mastiff were so protective and ready to guard the locals monasteries, villages, and flocks. Information About Shih Tzus for You! We have to admit, Shih Tzu puppies for sale really tugs at our heartstrings! This breed has been around for a very long time and once you take a look at this blog, you’ll know why! Petland always has Shih Tzu puppies for sale, just check out our available puppies page! Shih Tzus worked alongside the monks, serving as alarm or guard dogs. At times, they actually turned prayer wheels during daily Buddhist rituals. In the Chinese, Shih Tzu means “lion dog,” referring directly to their looks and strength of character. They also earned the moniker of “chrysanthemum-faced dog”, which refers to the way the hair grows outwards from the center of the dog’s face. Speaking of their faces, it’s part of the reason why Shih Tzu puppies for sale are so popular! They’ve Been Here Time and Time Again! Hands down, they are one of the oldest breeds in existence. It is said that they can be traced to Chinese paintings circa 500 AD. There are also documents that reflect how Shih Tzu puppies for sale were gifted from China to the Byzantine Empire. Much later, they became the official breed of the illustrious Ming dynasty, who kept them as pets for the royal family for centuries. They Made Their Presence in America and Stayed! During the 1920’s, the first pair were brought to England. They gained popularity and began to spread from continent to continent from Europe to North America. 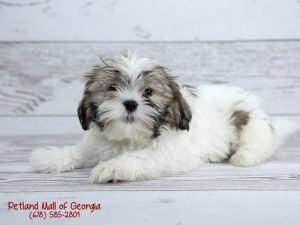 Though today’s Shih Tzu puppies for sale have been popularly placed in many households, they still display their ancestral air of a regal demeanor. They can’t help what’s in their genes, but they excel at their “job” of being easy going, gentle companions! Interested learning more about the Shih Tzu puppies for sale in our store? Check out our available puppies page to see all of our precious pups! So you’re thinking about getting a long hair puppy? You’ve done your research and you’re prepared for this loving journey. Well, here at Petland, we have long hair puppies for sale and some basic tips for grooming and taking care of them! Bath time can be a bonding time. Bathing long hair puppies is an important step to keeping your dog’s hair clean and tangle-free. Use a sulfate free shampoo and hydrating conditioner made for specifically for long hair dogs. Wash and rinse your pup from front to back. The drying process is important. Because long hair puppies have…well long hair, it’s going to be extremely important that you properly dry your dog and well. You will need to have towels on hand that are extra absorbent to soak up the excess water. Inevitably, your dog will shake and splash water! Use your towel to shield yourself, too! Depending on the type of long hair puppies you have, a blow dryer, on a low setting, may be more useful and expeditious. Some long hair puppies take at least two to three hours to air dry, so be patient. If it’s a nice and sunny day, take your dog on a long walk to speed up the process. If you’re comfortable, purchase nail clippers from Petland to keep dog’s nails neatly trimmed. Long hair puppies tend to have hair that grows past their toe pads pretty quickly. This can be painful for them, so we recommend that you keep their nails trimmed and that you keep the hair around and between their toes trimmed. Comb and brush their hair. 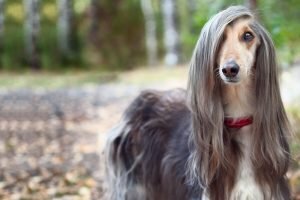 If you want to keep your long hair puppy’s hair tangle-free, you must brush and comb it on a regular basis. This proactive step will also promote healthy skin. Stop into a local Petland to purchase the perfect brush for your long hair puppy. Be sure to brush his entire body, including his chest, underarm area, and under their legs. You can also part sections of the hair and apply conditioner to each layer as you part, both after and during the drying process. Learning how to groom a dog is a fun experience and helps you to bond more with your pet. Use these simple grooming techniques and your dog will look and feel good. At Petland, we believe in sharing the knowledge you need to give your dog the best care possible! Just come into our store on any given day and you’re sure to find French Bulldogs! We have such a special affinity for these fat-faced little pup! But let’s say you haven’t made it to our store yet, you’ve certainly seen them and they’re undeniably cute! 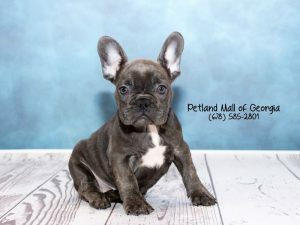 So you might be familiar with what the breed looks like, however this blog will help you navigate and understand the origins and personalities French Bulldogs! Never mind the French part! French bulldogs have their roots actually traced to England and not France. Lace makers in England were drawn to the toy version of the dog and would use the smaller pups as lap warmers while they worked. When the lace industry moved to France, they took their dogs with them. There, the English bulldogs probably bred with terriers to create bouledogues français, or French bulldogs. They were bred to be cuddly companions. Frenchies, as they’re often nicknamed, were bred to be companions. They get along well with other dogs and aren’t big barkers. French Bulldogs don’t require much exercise, so they are fine in small areas and daily strolls. The don’t bark, but they talk! As we previously mentioned, French Bulldogs aren’t big time barkers, but they do “talk!” Using a complex system of yawns, yips, and gargles, they seemingly speak their own language and we’re here for it! Don’t be surprised if they join you in your own version car karaoke! Much like Pugs, French Bulldogs are very sensitive, and will sadly react to yelling. French Bulldogs respond better to positive reinforcement and encouragement. French Bulldogs are a brachycephalic breed, meaning they have shorter snouts than other dogs. These smushed faces are simply adorable, however they cause a myriad of breathing problems, making them particularly sensitive to heat. It’s imperative that they’re monitored and not left in hot temperatures for long periods of time. Boxers are beautiful. Everyone knows that! We have Boxers for sale right here in our store. Our Boxers are between 8 -16 weeks old, are in excellent health, and are ready to leave and join your home furrr-ever! As per our standard, all of our Boxers for sale have been fully vaccinated and de-wormed according to the highest standards of medical care and will thrive perfectly well in a new environment. They have been certified by our veterinarian as happy, healthy puppies. They have also been microchipped for safety. 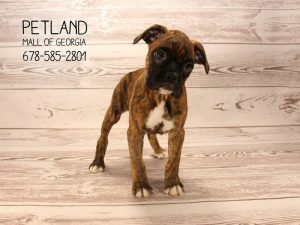 Want to check out all of our Boxer puppies for sale? Click here for our available puppies page! We have lovely chubby boxer puppies that will fit well within a family setting, whether an apartment or home with a large yard. They have been socialized and cared for very well. If you have children, they will be excited to be joined by a new family member that loves to play. We assure you that you’ll be getting a good companion, one that will feel comfortable around your house, and quickly adapt to the new environment. Our Boxers for sale are gentle and patient and love pleasing their owners, while entertaining the rest of the family! Boxers are well known to be puppies for years, so you’re in for a wonderful treat! Boxers are one of the best pets that you can ever get. They’re a breed that promises hours, days, and years of abundant joy and fun-filled day and nights. Come in today and get your Boxer! Take advantage of our Boxers for sale and get the pet that you’ve always wanted to join your home. Come into our store to play and interact with one (or two) and take them home with you! Don’t forget to ask about your in-house pet financing program! Oodles and Doodles of Poodles! 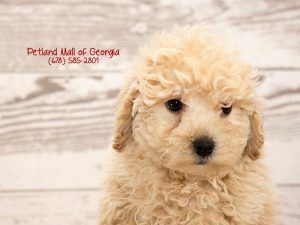 There is a common belief that Poodles descended from Asian herding dogs that traveled with Germanic tribes to eventually become German water dogs. Their may be some murky details behind their ancestry, however it is well agreed that they are an extremely ancient breed, going back to the first centuries of B.C. There are documented illustrations of Poodle-like dogs found on Egyptian and Roman artifacts and tombs. Despite how dainty and pretty Poodles for sale may look, they were actually bred to be working dogs. They were used to retrieve various waterfowl. Elvis Presley was known to be very fond of Poodles, because he had a vast collection of them at his Graceland home. One he named Champagne, while he was stationed in Germany. He often purchased Poodles for sale and gifted them to women in his life! Many potential pet owners purchase Poodle for sale, because they do not shed like most dogs. While they may lose hair daily, much like humans, it is significantly less. While it may take them some time to warm up to new people, they are generally Poodles are affectionate, gentle, and make great companions for children. Because of their apprehension towards strangers, purchase Poodles for sale if you’re looking for good guard dogs. They are known to be protective of their homes and families. Poodles tend to have more hair in their ears than other dog breeds, which may interfere with their hearing and healthy air flow in the ear canal. Cut them just a little slack when they don’t answer you right away! Conversely, they also have acute hearing and are sometimes hesitant to go out in the rain, simply because rain amplifies sound and hurts their ears.